Ella Bache Creme Tomate Vitamin Radiance Cream. 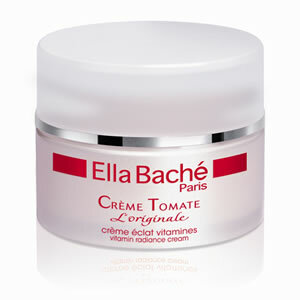 Ella Bache Creme Tomate Vitamin Radiance Cream is famed for imparting a healthy looking glow to all skin types. Ella Bache Creme Tomate Vitamin Radiance Cream is enriched with extracts of fresh tomato and ruscus to brighten and reveal the complexion like never before, giving an instant radiance and beauty to the skin.